Eventhough I was late to enter twitter (since May 6, 2009), Now I captured 5 digit followers. Thanks to All followers. Follow me on twitter Here listing some great tools to be popular and influential on Twitter. Twitter Grader: Learn your Twitter grade, your local Twitter Elite, and find new people to follow through Twitter Grader. Twitterholic: Check out the top Twitter users and find out your Twitter stats on Twitterholic. TweetStats: TweetStats offers a graphical analysis of your Twitter stats. Twitter Friends: Carefully measure your Twitter conversations using Twitter Friends. Twinfluence: Twinfluence will measure your Twitter influence based on reach, velocity, and social capital. Tweetwasters: Find out how much time you and other users waste on Twitter. Tweet-Rank: Learn about the quality of your tweets by finding out which ones won or lost followers. Mr. Milestone: Get a tweet when you reach various milestones using this Twitter tool. Retweetrank: Find out how many retweets you and other Twitter users have through this service. With these tools, you and gather information for market research, blog posts, and your own simple curiosity. Tweetbeep: With Tweetbeep, you can set up alerts that will help you keep track of keywords on Twitter. @myflightinfo: Use @myflightinfo to stay updated on your flight’s status. Twitterverse: Check out archived timelines and tweets through Twitterverse. Twitscoop: Twitscoop shares what’s hot on Twitter at any given moment. Twitbuzz: Twitbuzz tracks the latest conversations as well as popular Twitter links. StrawPoll: Use StrawPoll to make sharing your opinion as easy as sending an @reply. Retweetist: This service ranks the hottest links being retweeted on Twitter. Monitter: Get real time keyword monitoring on Twitter from Monitter. TweetNews: TweetNews ranks stories based on the amount of related tweets. TwitterBuzz: TwitterBuzz will tell you what’s being linked to the most on Twitter. Tweetscan: Set up Tweetscan to make sure you don’t miss any @replies, and to get alerted of your search queries. Find more relevant Twitter users with the help of these tools. Twitter Local: With this service, you can see tweets from Twitter users in a specific location. Twubble: Twubble will expand your Twitter bubble, picking out people you may like to follow. MyCleenr: Sort your friends by their last tweets, and you can get rid of the inactive and useless accounts you’re following. Follow Cost: This tool will tell you how much effort it takes to follow someone. Tweepler: Use Tweepler to organize your tweeps based on whether you’re following them or not. Just Tweet It: Find Tweeple, tools, Twitter bots and more through this directory. TweetWheel: TweetWheel will help you discover which of your Twitter friends know each other. SocialToo: SocialToo will help you keep track of all of the people who have followed or unfollowed you. Twitoria: Reduce your clutter on Twitter by finding your friends that haven’t tweeted in a long time. TwitDir: With TwitDir, you’ll be able to search for people, and exploring categories including top followers and updaters. Who Should I Follow? : Using this site, you can get good recommendations for Tweeps to follow. Nearbytweets: Learn about all of the Twitter users in a specific area with the help of Nearbytweets. Twellow: Find Twitter users in a specific industry using this service. Mr. Tweet: Mr. Tweet is a personal networking assistant for Twitter, helping you find relevant followers. Qwitter: Qwitter will help you manage your network by sending an alert when a person unfollows you. 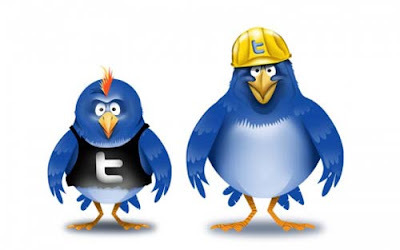 Save your time and grow your Twitter followers with the help of these tools. Summize: Retrieve information on Twitter quickly to search Twitter in real time. Tweet O’Clock: Trying to reach someone? Tweet O’Clock will help you find the best time to get their attention. Just Signal: Set up a filter using Just Signal to get only the tweets that discuss the keywords you’d like to read about. TweepSearch: Put your Twitter network to good use and search your followers for specific parameters. Friend or Follow: Manage your Twitter contacts and find out who’s not following you back through Friend or Follow. TwitResponse: TwitResponse makes it easy for you to schedule the delivery of your tweets ahead of time. TwitterSnooze: Put the pause button on a particular user for a while with Twitter Snooze. Twitterless: Get notified when someone stops following you with Twitterless. Twilert: Track specific keywords to receive alerts for using Twilert. Tweetdeck: Tweetdeck has a groups function that will help you more efficiently follow the people you really want to listen to. Twalala: Put the mute button on certain people and topics for a while if you are receiving lots of updates you’re not really interested in. Promote your business, share photos, and more using these Twitter tools. Tweetburner: Use Tweetburner to share links, and you can track their usage. Twitpic: Twitpic makes it easy to take mobile phone photos and share them using your Twitter account. TwitterHawk: Get targeted marketing on Twitter through TwitterHawk. Acamin: Acamin makes it easy to share files on Twitter with your followers. Glue: Post links to books, movies, restaurants and more on Twitter through Glue. Ping.fm: This service will update all of your social networks at once. TweeTube: TweeTube makes it easy to share videos on Twitter. twiggit: Use this automated service to share the articles you digg on Twitter. Twisten.fm: Share what you’re listening to on Twitter through Twisten.fm. These Twitter tools will make your life a bit more streamlined. Twittercal: Link your Twitter account and Google Calendar to easily keep up with your events and appointments. Timer: Use Timer to get reminders about tasks through your Twitter account. TwitterNotes: Organize your notes using Twitter with TwitterNotes. Remember the Milk: Use Remember the Milk on Twitter to update your to do list. Tweetake: Tweetake will back up your Twitter timeline for archiving and more. Nozbe: Nozbe makes it easy to add and update your to do list on Twitter. Toodledo: This popular to do list app integrates nicely with Twitter. TrackThis: Send TrackThis your tracking number, and you’ll get Twitter messages every time there’s a change in location. Joint Contact: Get project management productivity on Twitter using Joint Contact. Tempo: This time tracking tool allows you to send in updates from Twitter. Tweet Later: Tweet Later offers a great way to set up alerts, schedule tweets, send thank you DMs, and more. OutTwit: OutTwit will make it easy for you to use Twitter inside of Outlook. Jott: Jott makes it easy for you to tweet without ever having to type, transcribing your voice message to Twitter. With these tools, you can work on relationships, life tracking, and more. MyMileMarker: Keep track of your mileage with info sent via Twitter every time you fill up. 21Tweets: 21Tweets offers personal coaching on Twitter. TwtTRIP: Organize your travel plans and find other Twitter travelers on your way with TwtTRIP. Tweet Answers: Twitter Answers makes it easy to ask questions and get answers on Twitter. Twtvite: Twtvite is a simple event organizer that will help you create a tweetup. Vacatweet: Set up an autoresponder for your Twitter account with Vacatweet. plusplusbot: Share when someone goes out of their way to help you, or otherwise make your feelings known using plusplusbot. TrackDailyGoals: Use this site and the #dailygoals hashtag to keep track of your goals every day. ConnectTweet: Put the voices of your group or business together through ConnectTweet. Tweeteorology: Find tweets about the weather in any location through Tweeteorology. DreamTweet: Keep a reminder of your dreams and nightmares, and follow the dreams of others through DreamTweet. Use these tools to improve your business and finances through Twitter. Chipin: If you’re raising funds on Twitter, make use of Chipin to set a goal and let your supporters track the progress of the campaign. Xpenser: You can Twitter your expenses to Xpenser and they will be recorded for you. Twittertise: Schedule your tweets and track their clickthroughs with this app designed for Twitter advertising. TwtQpon: Create simple Twitter coupons for your business with TwtQpon. CheapTweet: Get all of the deals, sales, coupons and more being discussed on Twitter through CheapTweet. Tipjoy: Like Chipin, Tipjoy offers a way to create social payments for your cause, content, or people. SalesTwit: Get contact management for Twitter with the help of SalesTwit. Tweet What You Spend: Track your cash in a really effective way using Tweet What You Spend. StockTwits: StockTwits shares the investment discussions on Twitter in real time. Track your health using these Twitter tools. Qwitter: Update Qwitter to shame yourself into quitting smoking. TweetPlot: Use TweetPlot to chart your food and fitness statistics. Tweetwhatyoueat: Keep a food diary to track what you’re eating every day using Tweetwhatyoueat. gtFtr: Use the gtFtr tool to record your exercise activity on Twittr. SugarStats: Track, monitor, and share your blood sugar through Twitter with SugarStats. FoodFeed: This Twitter-based food log makes it easy for you to track what you’re eating. Bring your blog life and Twitter life together with these tools. Add to Any: Get your posts shared on Twitter by using Add to Any on your WordPress blog. TwitThis: Make use of this plugin to send Twitter messages about your blog post. MyTwitter: Use the MyTwitter plugin to display your Twitter status on WordPress. Twitpress: Twitpress will send out a Tweet every time you post a new blog entry. TwitterCounter: With this plugin, you can display the number of followers you have on Twitter. TwitterFeed: Announce your blog post on Twitter with a customized message using TwitterFeed. What is a Google Wave? The Amazing yikebike - I want One!